To develop suppleness, engagement, balance and obedience; to help your horse achieve self-carriage try riding him ‘on and back’ by asking him for a few lengthened strides before asking him to come back to his working pace and repeating it several times in a session (transitions). You need to half-halt, and create some energy in your horse’s engine. 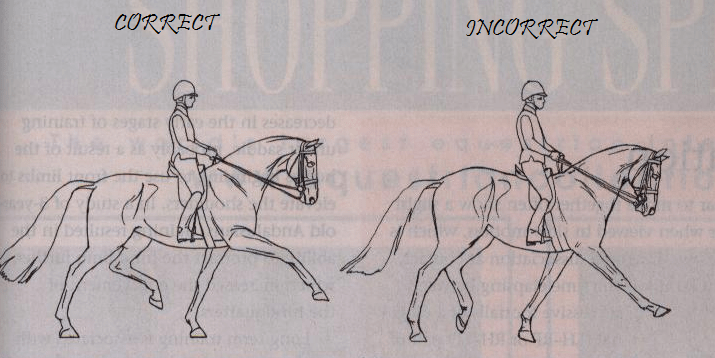 Ride a 10m circle to balance you both, come off the circle onto the straight (diagonal or long side), half-halt again and give a little with the hand whilst encouraging the horse forward with the leg. Just a few strides will do as a start and cease all aids once you have asked. Think about easing out the bigger steps by giving a little with the hand and give the horse time to develop and build up his muscles and balance. Fluency and suppleness over the back are very important. 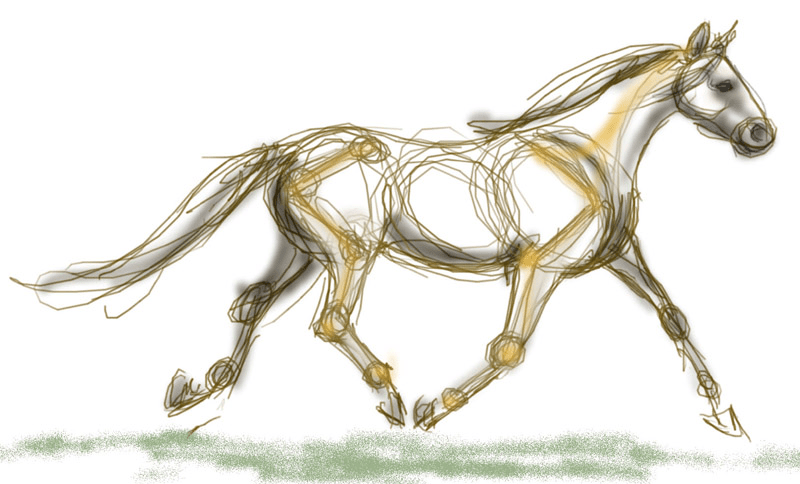 If the horse goes wide behind you are potentially behind the movement and putting excessive pressure on his loins. Build up the number of steps you allow. Think of a pressure cooker. If you fully open the valve on a pressure cooker the pressure will be released in one almighty blast and upset everything. If you ease the valve open gently you will get a steady stream of steam! Oh, and remember the building block of every exercise – RHYTHM. One other thing – we are not aiming at ‘flicking toes’ we are looking to lengthen the horses strides. That means all four legs! HELLO, MY NAME IS PATRICIA AND I’M A RECOVERING SLUMPER! Very helpful,,,,I think I was letting her go too fast & getting an out of Rythm stumbling trot. Thanks again.